Professor Edward S. Cooke, Jr., the Charles F. Montgomery Professor of American Decorative Arts in the Department of the History of Art at Yale University, focuses upon American material culture and decorative arts. His Making Furniture in Pre-industrial America: The Social Economy of Newtown and Woodbury, Connecticut explores the artisanal world of colonial and early national America, while some of his work on modern craft has historicized and explicated more recent forms of production. This can be seen in his role as founding co-editor of The Journal of Modern Craft and guest editor of a special issue of American Art focusing upon craft as well as his work as co-curator and publication author of six different exhibitions: New American Furniture (Museum of Fine Arts, 1989); Inspiring Reform: Boston’s Arts and Crafts Movement (Davis Museum, Wellesley College, 1997); Wood Turning in North America Since 1930 (Yale University Art Gallery, 2001); The Maker’s Hand: American Studio Furniture, 1940-1990 (Museum of Fine Arts, Boston, 2003); Inspired by China: Contemporary Furnituremakers Explore Chinese Traditions (Peabody Essex Museum, 2006); and Paul Evans: Crossing Boundaries and Crafting Modernism (Michener Art Museum, 2014). His Inventing Boston: Production and Consumption in the Atlantic World, 1680–1720 (Yale University Press) will be published in early 2019. He is currently writing Material Culture and Global Art History (under contract with Princeton University Press). 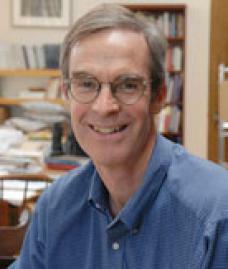 At Yale, Cooke teaches lecture courses on American material culture from the fifteenth century to the present as well as an introductory course on global decorative arts and offers seminars on a variety of topics including material culture theory, material literacy, the American interior, American furniture, and modern craft. He has also taught seminars on craft and design in India and in Australia. He served as the Chair of the department from 2000 to 2006 and from 2012 to 2016. Since his arrival at Yale in 1992, he served as Director of the Yale Center for the Study of American Art and Material Culture, a group of interested Yale faculty, graduate students, and museum professionals who meet weekly during the semester for presentations on the theme of that academic year. The participants are drawn by a scholarly interest in the study, analysis, and interpretation of material culture. Cooke’s work in expanding the field of decorative arts has led to several awards, including the Iris Foundation Award for Outstanding Contribution to the Decorative Arts (2010), the Furniture Society’s Award of Distinction (2016), election as an Honorary Fellow of the American Craft Council (2016), and College Art Association’s Distinguished Teacher of Art History Award (2018).